If you make the wrong choices about filing for Social Security, you may reduce your income for the rest of your life. Did you think that at a certain age, you just automatically file and receive a certain amount? That’s not always the case. Social Security is pretty straightforward if you’ve never been married and you’ve accumulated at least 40 quarters working in jobs where federal employment tax (FICA) was deducted from your paycheck. When you reach your “full retirement age” (FRA) you will receive a benefit based upon the amount you paid into the system. If you begin receiving benefits before your FRA, you will permanently reduce your benefit. But, for every year (starting with your FRA year) that you postpone the start of Social Security, you will receive “delayed retirement credit.” This means your annual benefit will increase 8% each year (in addition to the annual cost of living increase) until you reach age 70. However, things get complicated very quickly if you are married – especially if both spouses have worked and qualify for Social Security. While most couples simply want to know how they can maximize their total Social Security income, this is easier said than done. With Social Security, timing is everything. And mistakes are all too easy to make. Consider for example, the widow who was entitled to a widow’s benefit but lost her claim because she remarried at age 59, instead of 60. Should both members of a couple file for benefits in the same year, or would it make more sense for one spouse to start before the other? Which one? If one begins early, how does it affect the spouse’s benefits? 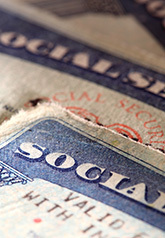 Planning for Social Security is an important part of retirement planning. It is also a bit like doing your own taxes: You might do just fine on your own, but if you make a mistake, you’re headed for trouble.